Back Bay Station in Boston. For months, Old South Church and Boston Properties had squared off over the prospect of shadows that would be created by a tower the developer wants build atop Back Bay Station. But on Thursday night, there was harmony all around, and a key city board approved the billion-dollar project. Boston Properties won the blessing of the Boston Planning & Development Agency, thanks in part to an agreement to contribute $3 million to a preservation fund for historic buildings – including Old South and Trinity Church, which worried new shadows from the tower could damage their buildings – along with another $3 million for affordable housing. Old South, in particular, had fiercely opposed the project until the deal was cut this week, but it brought a roomful of supporters from the Greater Boston Interfaith Organization to Thursday’s planning agency meeting to show their appreciation. The church and the interfaith group said they plan to keep pushing for more homeownership funding from big developments. The Back Bay Station agreement, they said, was a good first step. 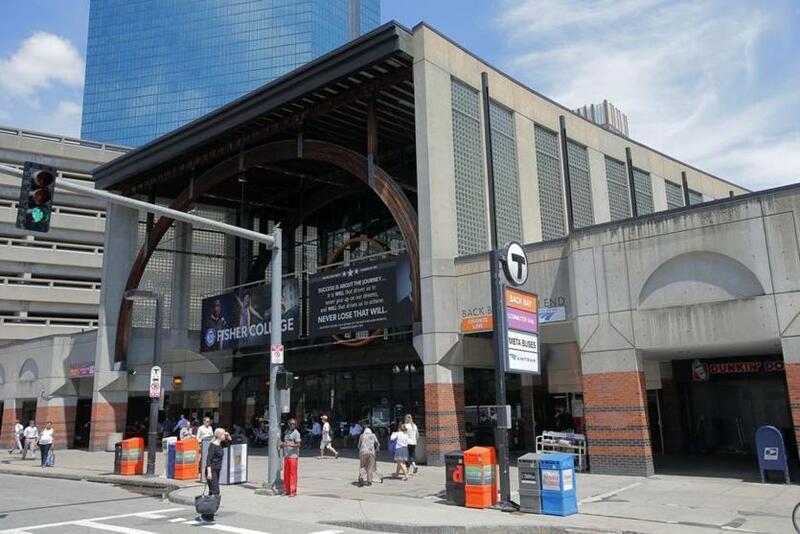 Along with the housing and preservation funding, Boston Properties has agreed to significant upgrades to the rail station, and plans to build three towers of housing and office spaces with new concourses that supporters say will better knit the Back Bay and South End. “I’ve never seen a project that has this kind of potential to transform a neighborhood,” said Michael Cantalupa, senior vice president of development at Boston Properties. At the same meeting, another huge project – WS Development’s plan for 10 open blocks in the Seaport District – sailed through to approval. Months of negotiations with arts and neighborhood groups won over skeptics, and even the Boston Lyric Opera – which had lobbied for a larger theater venue than what the developer is proposing for the project – spoke in support of it. WS senior vice president Yanni Tsipis said his firm listened to what people said they want out of one of the last big chunks of open space in the burgeoning district, and will try to create a place that feels welcoming to all Bostonians. And, yes, that will include a grocery store. “It’s essential for the future of the district,” Tsipis said. The city agency also approved one of the largest housing developments ever in Brighton, a plan to put 551 apartments and 101 condos on the site of St. Gabriel’s Monastery on Washington Street. Some neighbors said they worried about adding so many rentals to the neighborhood and would prefer for-sale condos, but supporters and agency board members argued that more housing, of any sort, is needed in the increasingly-pricey neighborhood. Long-stalled Fenway Center also cleared a procedural hurdle that brings it closer to breaking ground. Kelly Saito, whose firm Gerding Edlen is partnering with longtime developer John Rosenthal on the complex along and above the Massachusetts Turnpike, said he hopes to start work by year’s end on a pair of apartment buildings along Beacon Street, the first phase of the plan. The company behind another long-awaited project, however, will have to keep waiting. The planning agency granted development firm Hines another four months to keep working with investors and state transportation officials on a proposed 51-story tower over South Station. Hines’ development agreement had been set to expire Dec. 31. Correction: Because of a reporting error, an earlier version of this story misspelled Michael Cantalupa’s last name. The Globe regrets the error.